Robotic rover Curiosity has successfully landed in Mars’ Gale Crater. The goal of the $2.5 billion mission is to find evidence that the Red Planet was once capable of supporting life. After touchdown, the Curiosity rover sent home telemetry signal and black-and-white pictures from the surface of Mars. 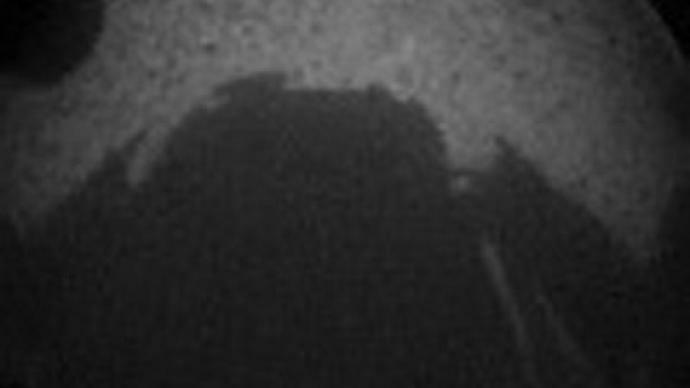 The first images sent by the Curiosity, though clouded by dust kicked up during the landing, clearly showed the rover, with its wheels firmly on the ground. "We're on Mars again," NASA chief Charles Bolden said at a post-landing media conference. "It's just absolutely incredible. It doesn't get any better than this." The mission will help gather crucial data for an eventual manned expedition to Mars, Bolden said. Curiosity aims to discover if the planet was once able to support life, and whether it will be able to do so in the future. ­The final phase of Curiosity’s automatic landing sequence involved a hovering ‘sky crane’ that lowered the car-sized rover to the ground, and then deactivated by crashing into the surface of Mars. The technique had never been attempted in previous planetary exploration missions. The landing, described by NASA as “seven minutes of terror,” proceeded smoothly and within the planned timeframe. Deviations from the expected path of descent were within the lower range of engineers’ expectations, NASA scientist Adam Steltzner said. Just over a quarter of the craft’s 400 kilograms of fuel were expended during the powered flight phase. 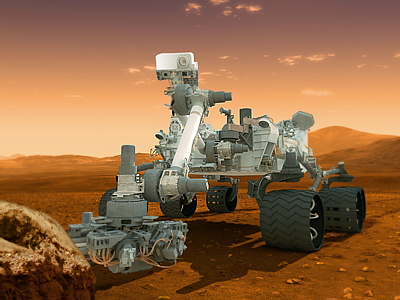 The Curiosity team will test the rover’s instruments and systems in the coming days before proceeding with the mission. Curiosity’s mission is expected to last for at least two years. The rover will seek out carbon-based compounds, which could prove that life once existed on Mars. Members of the Mars Science Laboratory (MSL) team at Jet Propulsion Laboratory celebrating after receiving the first few images from the Curiosity rover. Still from NASA TV footage.